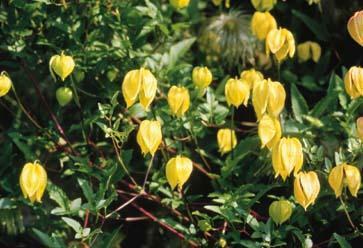 Tangutica Clematis: yellow flowers and attractive seedheads. A Yellow Clematis? You bet! Rare color and exceptional vigor make Tangutica a keeper. Remember - she gets really tall, so be prepared! she doesn't like "wet feet" during the winter!